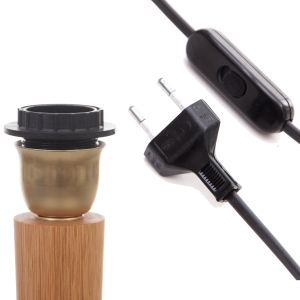 Whenever we see and order come in from continental Europe we ensure that each lamp is electrically wired to work in your country. 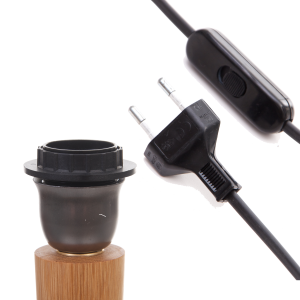 In short this means we use an E27 edison screw bulb fitting and a black 2 pin european plug with the switch on the flex. Brass covered E27 lampholder and black 2 pin plug with switch on the flex. Nickel covered E27 lampholder and black 2 pin plug with switch on the flex.